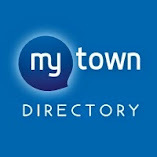 MyNewtown.co.uk is committed to working within and adhering strictly to the Editors Code of Practice. However, if any person feels we have breached the code in any way and wishes to make a complaint, please submit your complaint, in writing for the ‘Attention of the Editor’ via post to: MyNewtown, 41 Croft Road, Welshpool, Powys, SY21 7QD. - All complaints must include the name and date of the publication, with reference to the specific article in question. - Please include the URL of the article if possible, and/or link to any image or video. - A detailed description of the complaint, with reference to specific words, phrases, images, instances, dates and records that are relevant, and which clauses of the Editors Code of Practice you believe the publication has breached. You can also complain about the conduct of an individual journalist or employee of MyNewtown.co.uk with reference to specific (if any) clauses of the Editors Code which are in breach. MyNewtown.co.uk will endeavour to respond to a complainant within 21 working days on receipt of a valid complaint as outlined above, with receipt of a valid complaint made within 3 working days via email where possible.